Ten years. 94 countries. Countless offshore strategies. This book makes it all easy to understand for anyone. Nomad Capitalist is our best-selling business book that introduces readers to the concept of “go where you’re treated best”. From legal offshore tax reduction, to dual citizenship, to frontier market business opportunities, author Andrew Henderson boils down more than a decade of real-world, on-the-ground offshore experience. Chapters like “Do I Have to Become a Goat Herder?” make everything easy to understand. Chapters like “Choose Your Tax Rate” dive into specifics. And chapters like “The Nomad Code” teach you how the author lives this himself. With all 270+ pages fresh with real life anecdotes, wit, and wisdom, Nomad Capitalist is a must-read for any aspiring citizen who wants to start on the right foot. What Will I Learn in the Book? Nomad Capitalist condenses more information from more than 2,000 articles, videos, and podcasts into one convenient place. It also adds the human element by telling stories and anecdotes you won’t find anywhere else. Anyone who wants to “go where you’re treated best”. This book is written for beginners, so don’t worry if you don’t know much about global citizenship or going offshore. However, the book is also designed to add depth to knowledge you may already have by shedding light on common misconceptions and mistakes even experienced offshore gurus make. Therefore, it is suitable for any audience. Does the Book Offer Specifics, or Just Concepts? 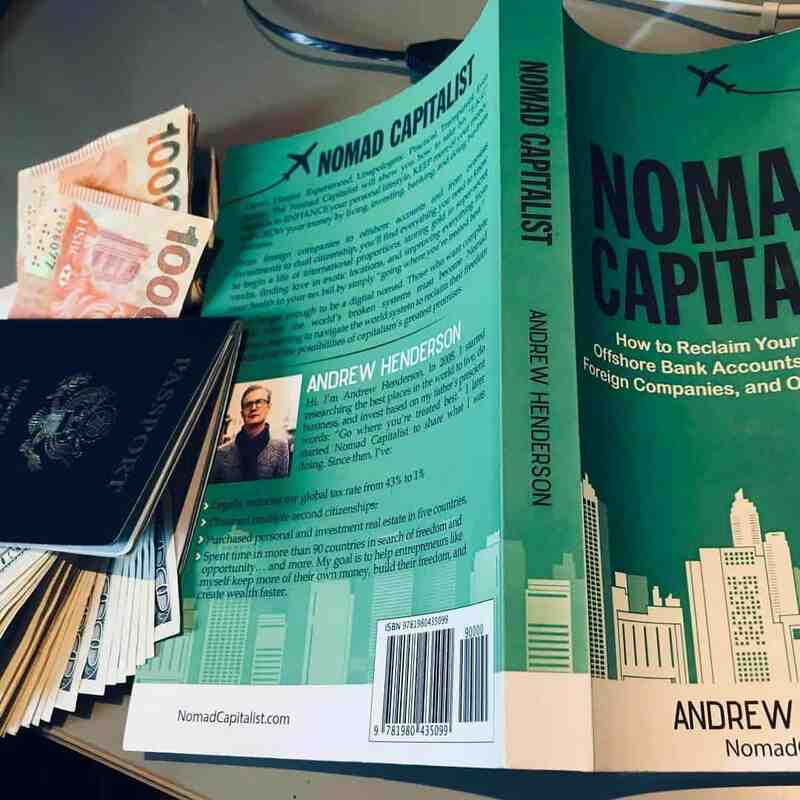 The book discusses many specific topics, from second passport opportunities, to specific offshore banking countries to use (and avoid), to specific countries Andrew recommends for business and investment. The book also provides context to situations that are usually discussed from a pure financial view, in order to give you knowledge to make more informed decisions. That said, no book written for the general public can or should provide you a specific plan for going offshore. The book is not intended as a substitute for high-cost offshore planning services that are tailored to you. For more information on our customized services, click here. Is the Book Intended Only for Expats? No; while the book discusses specific tax concepts and benefits of living overseas, it is intended for anyone who wants to apply any global citizenship principles to their life. That could mean diversifying your bank account into another currency, buying a summer home in another country, getting a second passport, or simply dating people from other cultures. What Format is the Book Available in? The book is available in paperback and Kindle versions. While we do have plans to release an audiobook, one is currently one available for sale.